The e-Golf is Volkswagen's all-electric answer to the Nissan Leaf and Chevrolet Bolt, which began selling in Canada in January. Volkswagen’s e-Golf will arrive in Canadian showrooms in June, but because a limited number will be available, the automaker is encouraging buyers to order online in advance. 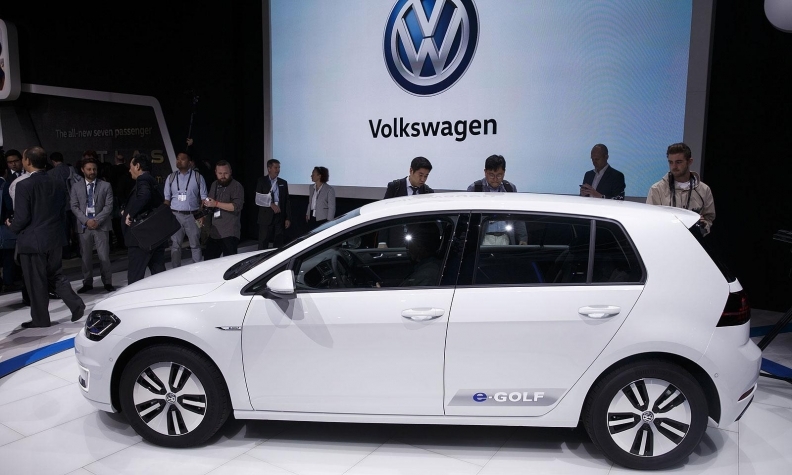 “Only a select few will be coming to Canada,” the company says on its e-Golf website. The e-Golf is Volkswagen’s all-electric answer to the Nissan Leaf and Chevrolet Bolt, which began selling in Canada in January. Chevy has sold 333 units in the first three months of 2017. It’s only available in British Columbia, Ontario and Quebec, the three provinces that offer government incentives to buy electric vehicles. The e-Golf will be available in the same three provinces and Manitoba, too. Canadian Volkswagen dealers had to opt in into the e-Golf program in order to sell them. It required additional, specialized training. Only dealers in those four provinces chose to do so. Dealers from other provinces won't get another opportunity to opt in and take the training until 2018. Meanwhile, 322 units of the Leaf have sold in the first three months of 2017. The e-Golf starts at $37,640. By comparison, the Bolt’s starting price is $44,395. while Leaf’s base price is $34,688. All prices include destination fees but don’t include available government incentives. The online ordering process is a first for Volkswagen and it is available for only e-Golf vehicles. “The order still goes through a dealer, but this process will allow the customers to get in early,” VW Canada spokesman Thomas Tetzlaff said in an email to Automotive News Canada. There are four distinct steps to reserving an e-Golf in advance, the first being a $1,000 deposit made online. After the deposit is made, Volkswagen will contact the buyer before the car goes into production and ask them to choose a trim level and other options. The buyer also selects a dealership, which will contact them to finalize the e-Golf package and complete the purchase, financing or lease paperwork. The e-Golf has an estimated range of 201 km on a single charge while the Bolt has one of 383 km and the Leaf 172 km.